I would like to thank everyone who has joined the huge local campaign against the closure of the children’s ward at Bassetlaw Hospital to new admissions overnight. Thousands of people have signed the petition and more than 10,000 have joined the Facebook group. Please contact me on mannj@parliament.uk or 01909 506200 for a petition or more information on how to support the campaign. There is no doubt that this is a hard battle that we are going to have to fight together. A community meeting has been organised in Worksop tomorrow at 12noon at the miners’ welfare. On Monday in Parliament I gave a voice to the local children who, in my view, are being let down by hospital management. Over the past few weeks I have met with parents being affected by the closure and I wanted to make sure Parliament heard their voices. 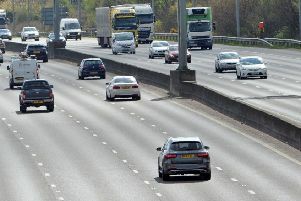 When they have a sick child at night, parents will now be expected to get into ambulances and travel significant distance – in some cases 40 miles there and back. We struggle to get ambulances quickly at any time, never mind in the middle of the night. For children who regularly have go to hospital, travelling further to an unknown place with staff who do not know them can be very stressful or even life-threatening. The staff say that seven hours for a non blue-light ambulance is the norm. We have seen cases of kids waiting six or seven hours at night for a transfer, having already waited all day. There was a case in which a blue-light ambulance arrived at Bassetlaw at 8pm, just missing the deadline, which meant the child still going through A&E in Doncaster at midnight four hours later. In Bassetlaw Hospital that would have been minutes, not hours. There is a financial black hole in health trusts across South Yorkshire and Bassetlaw and we are aware that not enough money is being put in. We are also aware of the additional cuts, with the latest one being the cutting of health visitors in Bassetlaw. Mothers have been told in the last week that they have to weigh their own baby. There have been eye and height tests in schools since the inception of the NHS but both were stopped in the last week. I say our children have been given a third-class ticket. I demanded in Parliament that they are given a first-class ticket and an equal chance to all other children in this country. Every child and parent in Bassetlaw will benefit from keeping the children’s ward open and operational 24 hours a day, seven days a week.